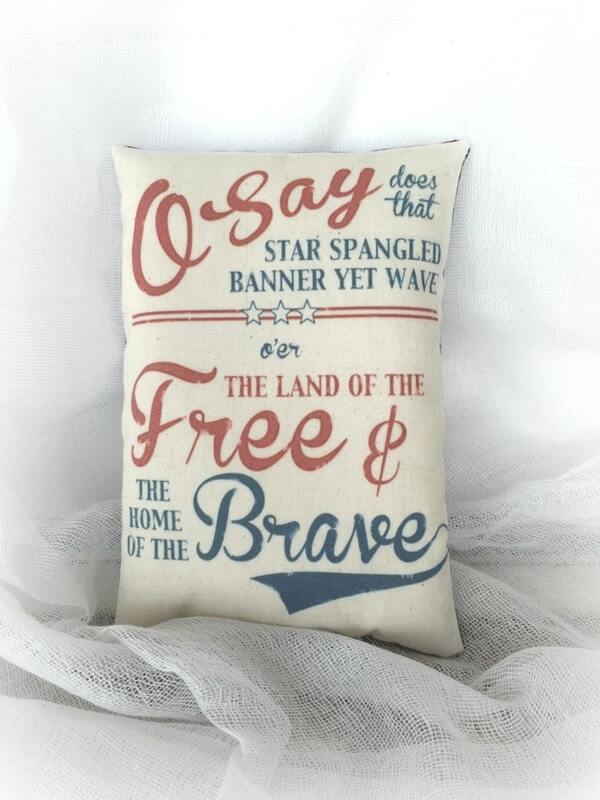 A mini accent pillow featuring one of the most famous verses of our Patriotic songs. 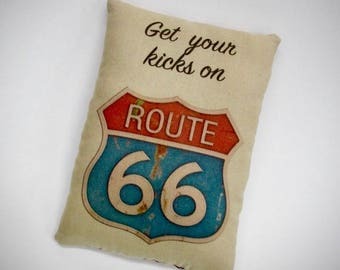 This would be a wonderful addition to your American holiday display. 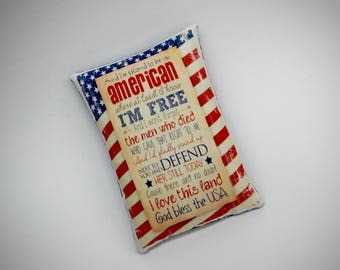 Perfect for all of our Patriotic holidays.